Welcome to some weekend fun and entertainment with drones. We spend a lot of time scouring the web for news, information and more on all the great drones around the globe. In our travels, we encounter some fun and funny stuff, and we want to start sharing that with you. Although it’s illegal in most countries, today we will be taking a look at guns mounted on drones. Next up in our series, let’s explore a more serious topic to do with drones. Drone mounted guns. We’ll see the ease at which they can be made and the destruction and terror they are capable of creating. 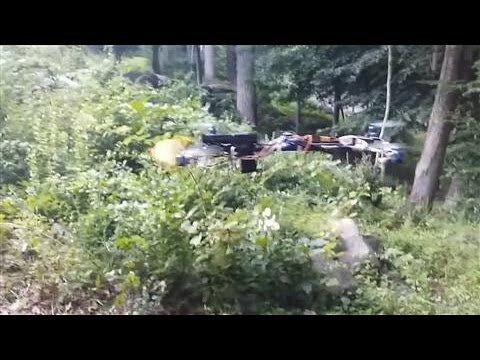 Guns and drones do not mix! I know it sounds like fun, or absolutely terrifying, so you will be either sad or ecstatic to learn that mounting a gun on a drone is wildly illegal. At least in the United States. This isn’t a minor infraction, like jay-walking, we’re talking about serious fines and jail time. From the FAA, the law is based around the illegal act of dropping objects from an aircraft. From your State and local law enforcement, dozens of other laws based on remote operation, firearm safety and ownership come into play. Bottom line, the only way non-military operation aircraft can be equipped with firearms is if the craft never flies. This video created by an American teen showcases a homemade drone that has been designed to shoot a pistol. This video caused a massive investigation to take place by the FAA to look into the video. This is a perfect example, which shows the ease at which a deadly drone like this can be made, and the hard lessons the creator will learn through fines and even jail time we hope will deter future efforts. FPSRussia has always brought crazy gun related videos to the world through his YouTube channel. 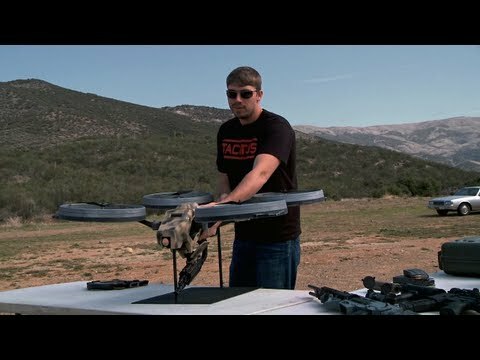 In this video, he gets his hands on a prototype drone that has the ability to shoot. It is equipped with a fully automatic machine gun. Please note putting a gun on a drone is illegal and should not be recreated. As always, we officially recommend you do not try this at home. We want you to always fly safe, to obey all drone laws, but also to have some fun. Of course, this article differs from the other ones we have written. Saying that, the drones showcased in these videos should not be copied in any way.